A truck accident can be sudden and devastating, putting you and your family in a challenging situation. Most people are unprepared for the fallout after a truck accident. In fact, without the right help, they may not get the compensation they deserve. Here are 5 critical things you need to know if you or a loved one have been hurt in a truck accident. Most trucking companies have teams of attorneys and insurance adjusters on their side who often swarm the victim or their family members, asking questions and pressing for answers. Fortunately, you do not owe the trucking company’s lawyers or their insurance company anything. Indeed, you do not have to answer their questions and can refer them directly to your own attorney. There are many truck accidents where multiple parties share liability. For example, the driver may have been in violation of labor laws and drove fatigued, but may have also been driving a truck with a faulty braking system. Having an experienced lawyer on your side can help you determine if you need to be bringing a claim against more than one party. Truck accidents can result in serious injuries. Some of these injuries heal while others do not. Individuals with spinal cord injuries, brain injuries, or disfigurement may have to live with these issues the rest of their lives. Therefore, it’s important that they be compensated for the damages they’ve suffered. Trucking company insurance companies will often offer a very low settlement initially in hopes that the victim will accept it. In fact, you do not have to accept the first settlement offer or any offer at all if you and your lawyer have determined that the offer is not fair money. However, going to court is a gamble — you could receive more or less than the settlement offer. 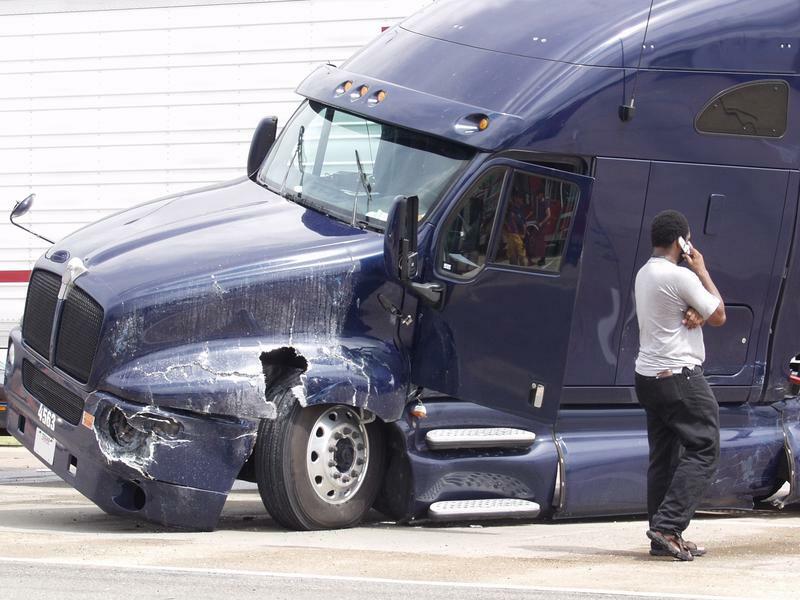 Your attorney is there to help you through the various stages of your truck accident case. Don’t be afraid to contact your truck accident lawyer with questions so you always know where you stand and so you have the information you need to make decisions that could affect your future. Contact the Slonaker Law Firm today for more information by calling 352.629.6656 or 352.777.8176.